If you would like to join SEA, click here for more information. Online registration is open for the Spring & Summer Season! CLICK HERE!! the Racine Family YMCA Swim Team! Daxton LaRue is battling Leukemia (one of our Bronze level swimmers). Please consider supporting the family by visiting the following links and making a donation today. Amazon & GoFundMe. For updates, visit his Facebook page. Keeping Daxton and his family in our thoughts and prayers. Online registration is now open for the upcoming Fall & Winter Season. Click here to begin the process. First day of swim practice is September 18! Our Elsmore Swim Shop store can be found at this link. Read more here. We are participating in BW3's Home Team Advantage again this season. Linked here is your Team Card and linked here is how it works. 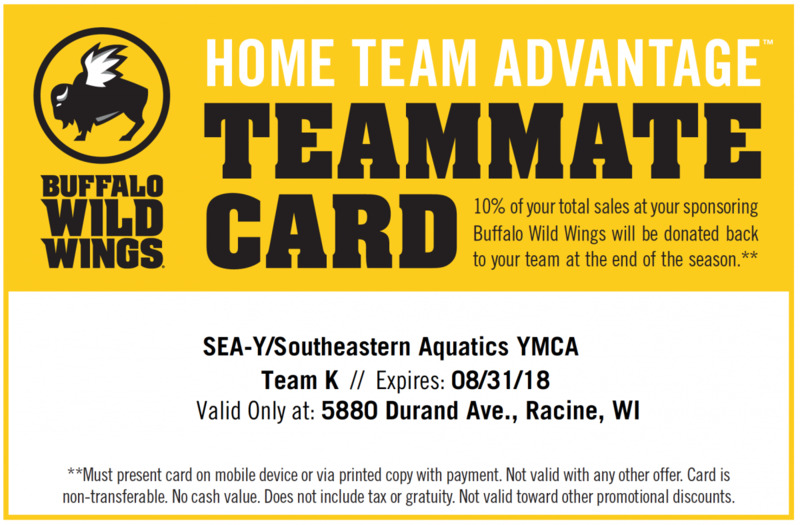 When you go to the Racine BW3's be sure to show your Team Card and help support Team SEA this season! Discover how you can get involved and help your child enjoy all the benefits of competitive swimming. We provide opportunities for swimmers of all abilities. Support your student-athlete by signing him or her up for meets today! SEA is a parent-run organization. The meets we host are team-wide fundraisers and helps to keep our fees low. Please don't forget to sign-up to work our meets! 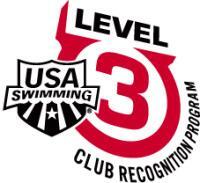 South Eastern Aquatics is proudly supported by your local YMCA and USA Swimming. Visit their websites to learn about what they can offer you.